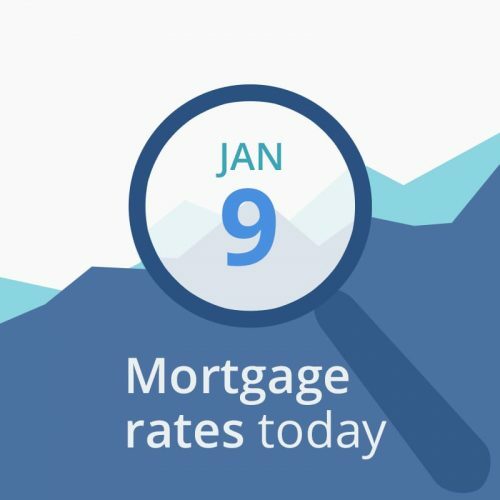 Average mortgage rates today are higher, matching yesterday’s predictions. And this morning’s data indicate no slowing down. Lock if you’re closing soon. With no major economic reports out this morning, lenders and borrowers will have to see if the afternoon results of today’s Treasury auction, or the release of the minutes from the last Fed meeting cause mortgage rate changes. High demand for bonds, or an opinion from the Fed that the economy is softening could cause rates to fall. But if investors don’t have an appetite for US debt, or if the Fed indicates that the economy is dong well, mortgage interest rates could likely increase this afternoon. This morning’s data are continuing yesterday’s trend, which is not good for mortgage rates. CNNMoney’s Fear & Greed Index rose 6 points to a reading of 30 (out of a possible 100). That score is out of the “extreme fear” range and into “fear.” The direction of movement is bad for rates. “Greedy” investors push bond prices down (and interest rates up) as they leave the bond market and move into stocks, while “fearful” investors do the opposite. With no economic reporting today, and financial data looking as ominous as it does, consider locking if you’re close to closing. The risks of floating outweigh the possible benefits in the short term.